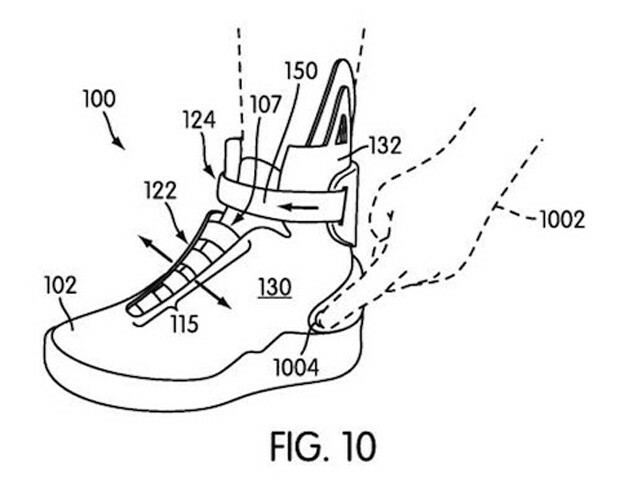 We've seen some extremely DIY auto-lacing sneakers, but it looks like the big boys -- Nike -- have thought about getting in on the game as well. 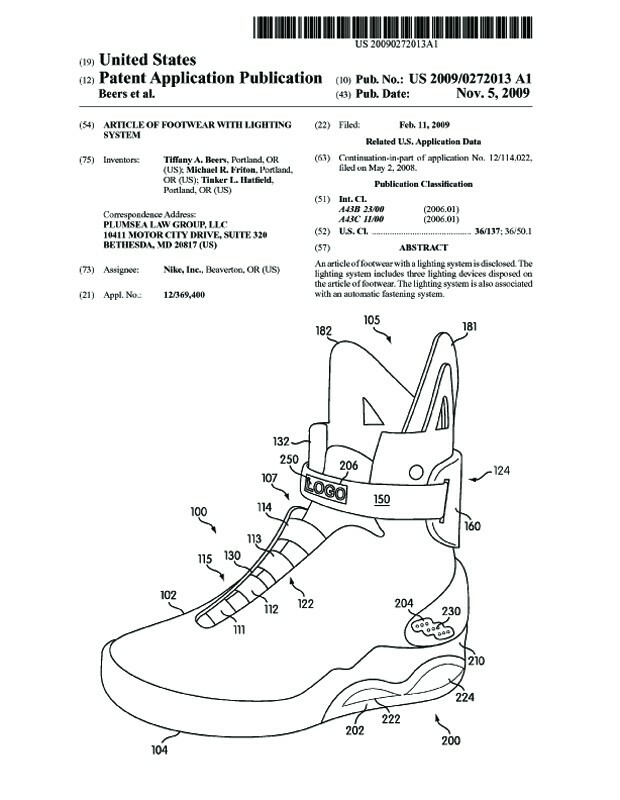 Patent filings which occurred in early through late 2009 show off an automatic lacing system that is pretty reminiscent of Marty McFly's invention in Back to the Future, and we can tell you that from the looks of it, it's a future we'd definitely like to inhabit. The shoes appear to boast a charging system and lights in addition to the lacing component, and while so few patent apps ever lead to a real retail product, we're really rooting for this one. One more image below.